1. Did you know … that Abraham Lincoln could play a musical instrument? According to Weldon Petz, one the America’s leading Lincoln scholars, “Lincoln played the jews’ harp at the debates (with incumbent Democratic U.S. senator Stephen Douglas during the 1858 Illinois state election campaign)”. 3. 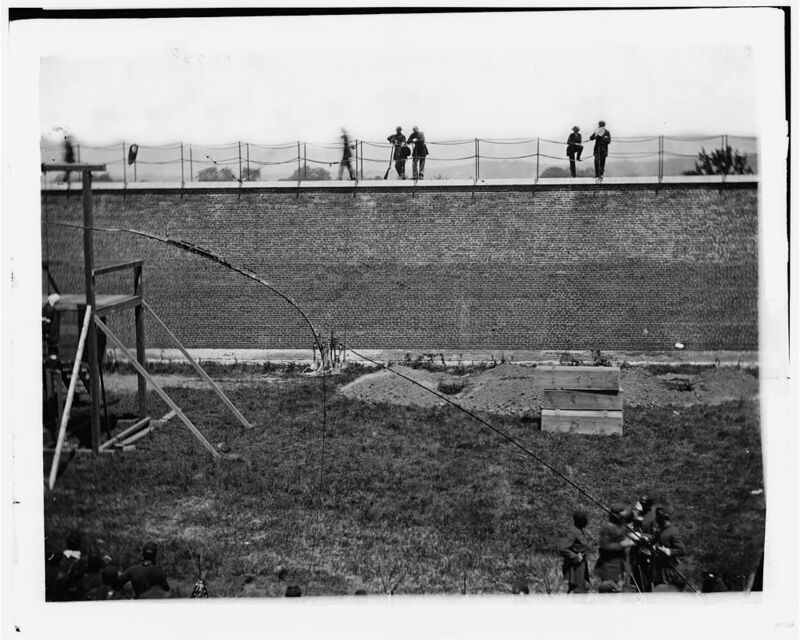 Did you know … that four soldiers of Company F, 14th Regiment, Veteran Reserve Corps were assigned the duty of springing the traps that hung the Lincoln conspirators? 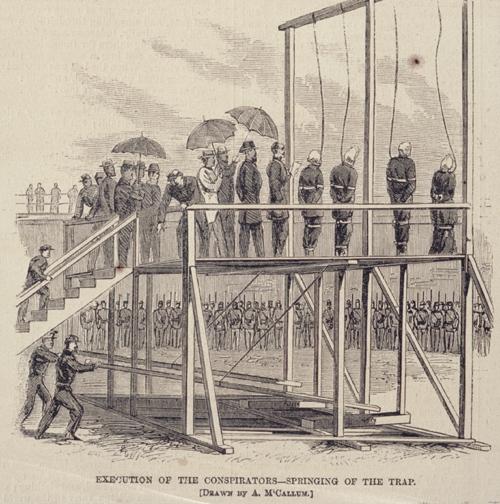 The conspirators stood on two separate hinged platforms which were each supported by one vertical heavy wooden post. Stationed below the platform were four soldiers assigned to knock these posts out. On a signal from executioner Christian Rath, the posts were knocked out, thus springing the traps. 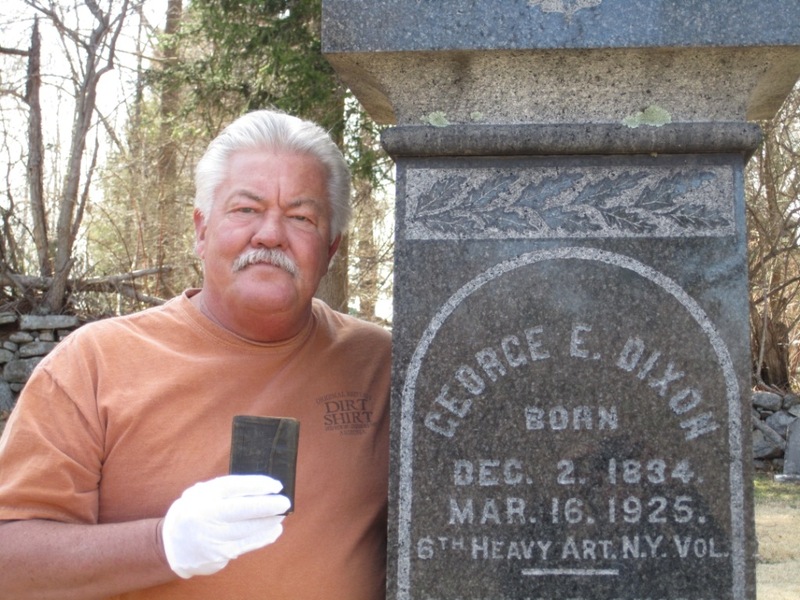 Reports differ as to how many soldiers actually did the deed (two or four). 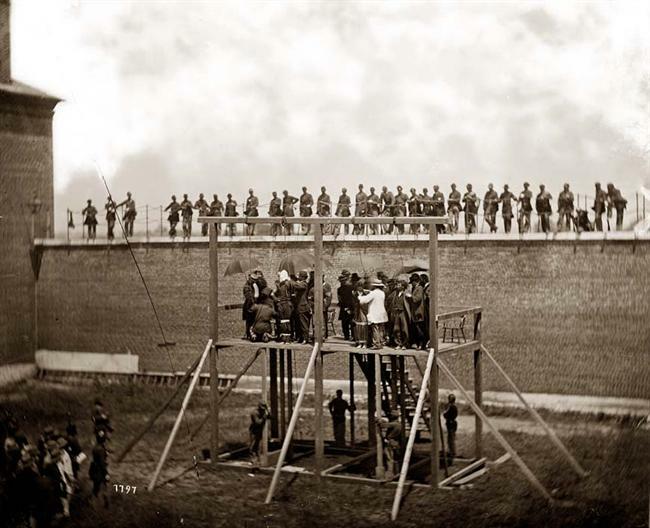 As you can see from the photo by Alexander Gardner, four soldiers are present beneath the gallows. The soldier at the front left, leaning on the post is Private William Coxshall. At the time of the photo Coxshall, who was impatiently waiting for the formal process on the scaffold to end, stated the following. “I became nauseated, what with the heat and waiting, and taking hold of the supporting post, I hung on and vomited”. Four soldiers wait below the gallows to "spring the traps". Private William Coxshall is the soldier holding the front left post below the platform. In an engraving (below) from Harper’s Weekly dated July 22, 1865, two soldiers, not four are shown dislodging the posts. So the actual number seems to conflict. Do you know the answer to this question? The actual answer is indeed four men. Their names were Coxshall, Shoup, Haslett and Taylor.